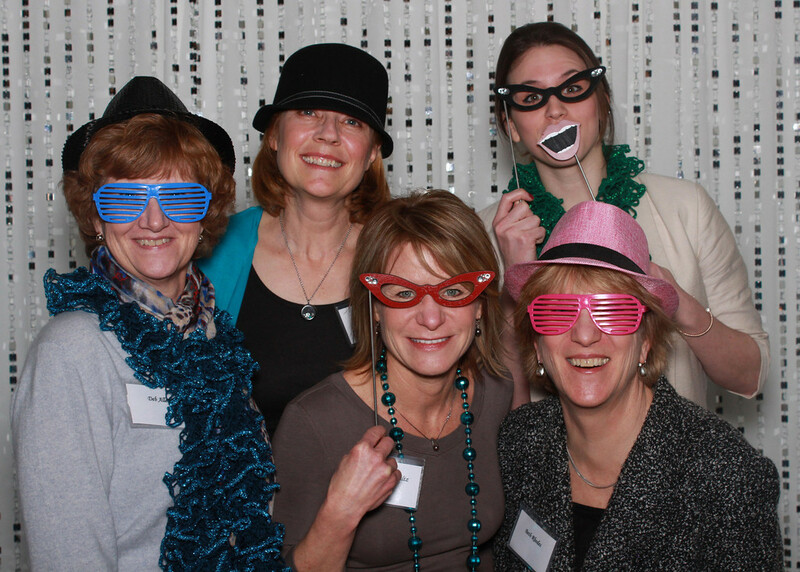 ICAC Community Outreach Center Grand Opening! Enjoy Fan Appreciation Day with the Lansing Lugnuts and support local animal welfare at the same time! 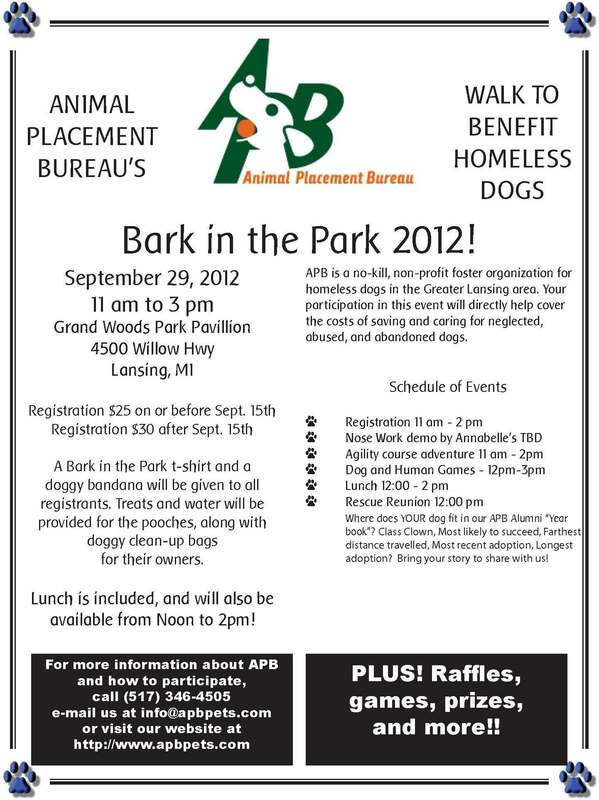 Sponsored by Preuss Pets located in Oldtown Lansing. 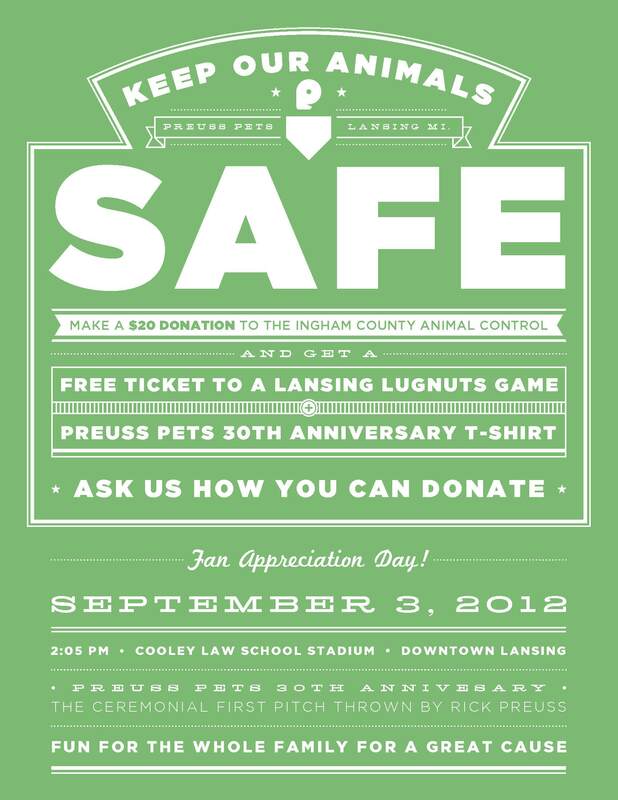 Donate $20 to Ingham County Animal Control and get a FREE ticket to the Lugnuts game on September 3, 2012 at 2:05 pm along with a Preuss Pets 30th Anniversary t-shirt. And don’t miss Rick Preuss throwing out the first ceremonial pitch! It’s super easy to donate! Go to Preuss Pets in Oldtown to make your donation and you’ll get a voucher for the baseball game and they’ll take your t-shirt order. 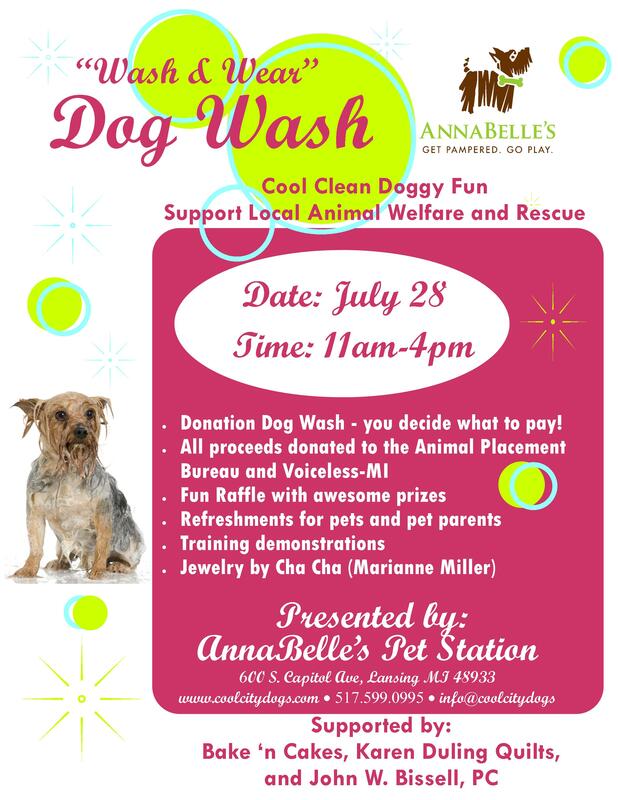 You can then pick up your ticket and your t-shirt at the Preuss Pets booth on game day! 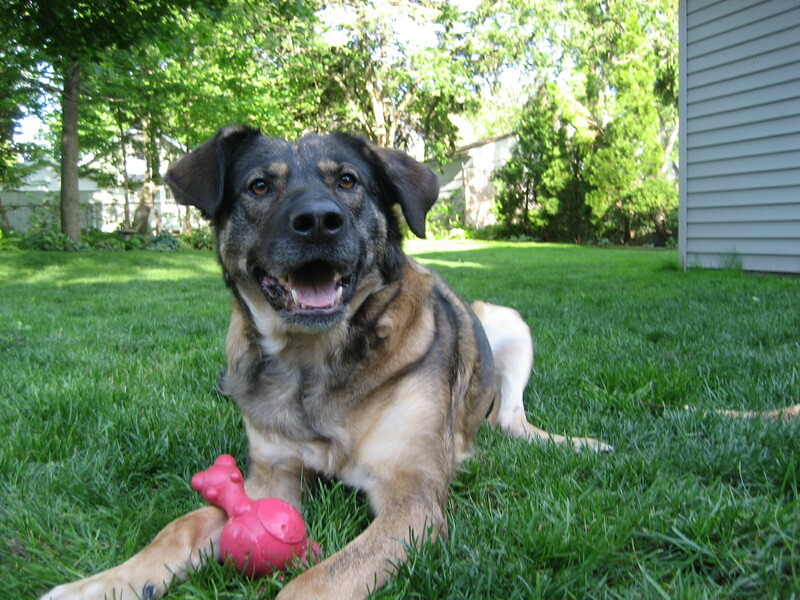 Featured Adoptable Dog from ICACS – RJ! 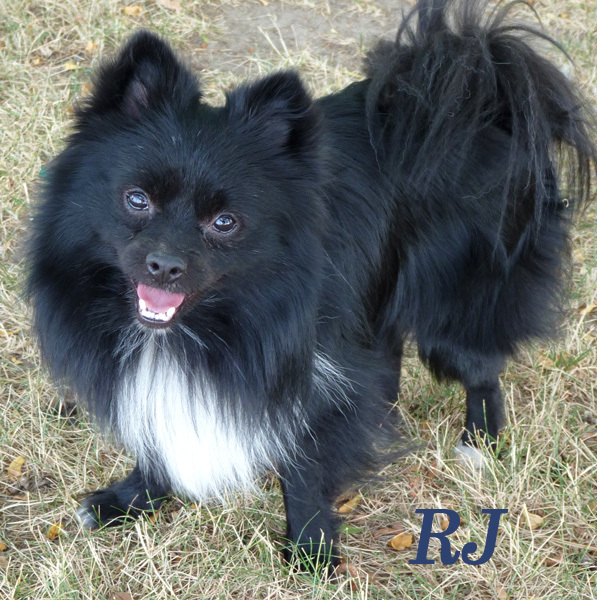 RJ is a very sweet and loving Pomeranian, about 1 to 3 years of age. He is a lap dog and constantly wants to be near you. He would make a wonderful companion for someone looking to take a dog with them everywhere (making sure not to leave him in the car in the heat!). He is playful with other dogs but does get a little jealous when other dogs are getting attention. Interested in RJ? 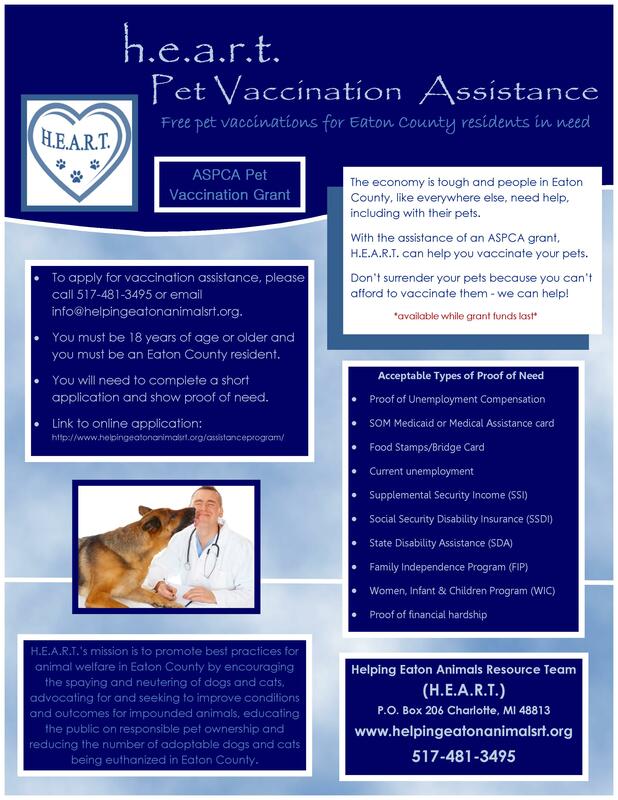 Contact Ingham County Animal Control and Shelter! 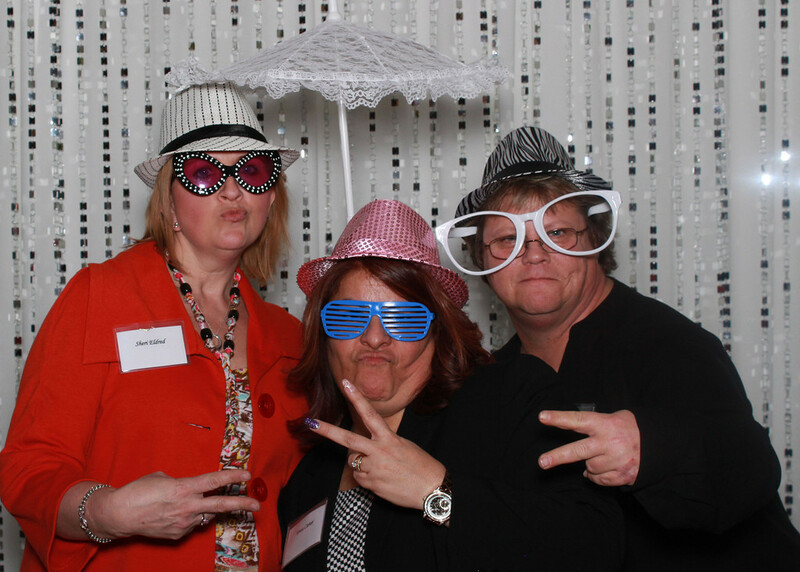 517.676.8370. Are You the Special Person Cami Needs for the Next Leg of her Journey to Happiness? Cami (short for Camino, Spanish for journey) was liberated from the streets of Chicago and brought to Lansing in December 2011. When she first arrived, Cami was treated for a gunshot wound, injuries sustained from a vehicle, and malnourishment. She was skittish, fearful, hypervigilant, and easily startled. Six months later, Cami is a healthy, playful, and affectionate companion. 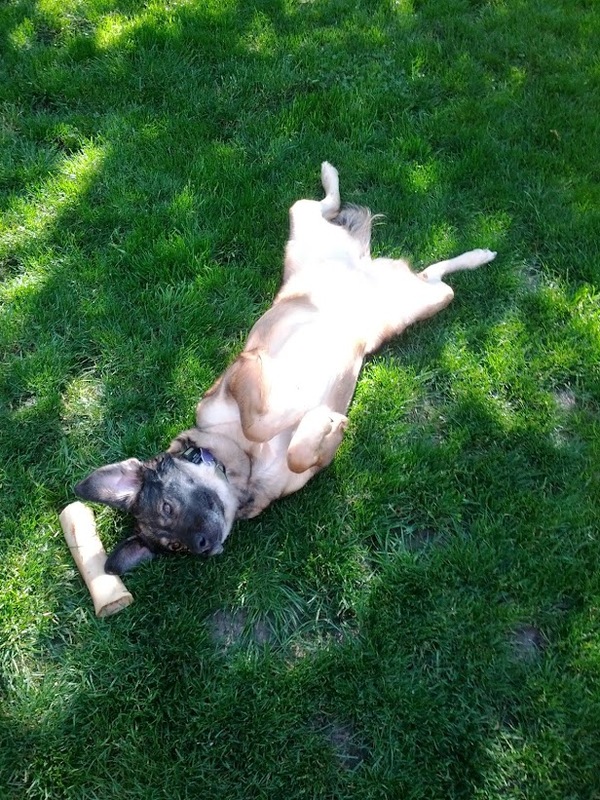 She lives for long naps in the sun, laying on her back in the grass while having her belly rubbed, and playing chase and rough-housing with her people. She is completely house trained; not one accident in the house ever! She is highly intelligent, listens well, and learns quickly. 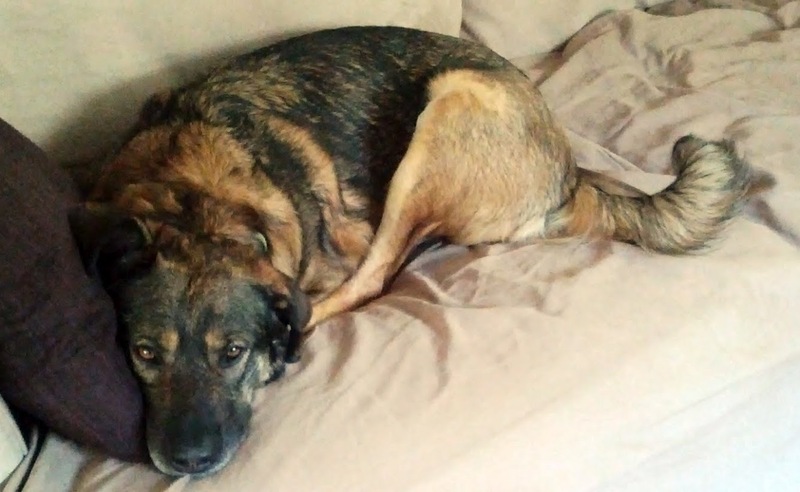 While Cami is a great dog in so many ways and has experienced tremendous gains in her physical and emotional health, she continues to be highly reactive to unfamiliar dogs, cats and people, especially men. 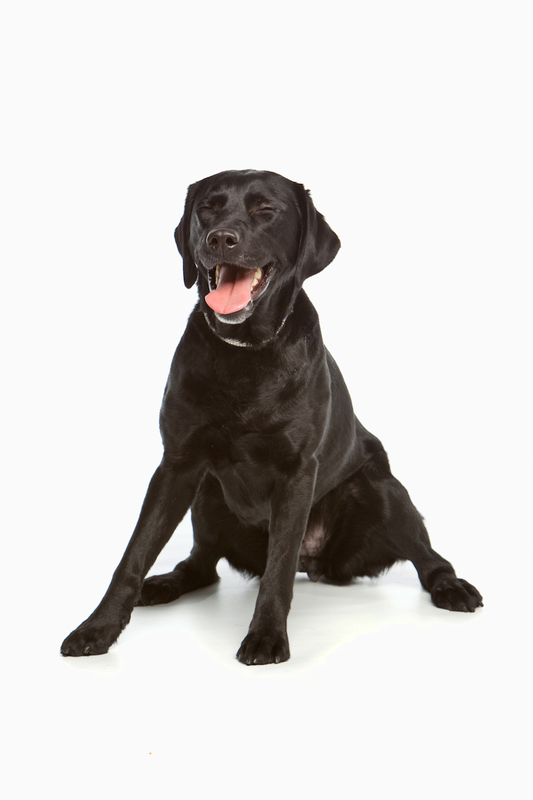 Carol Hein-Creger, training director and owner of the Canine Training Center, says “Cami is an extremely intelligent dog and has a good understanding of basic obedience commands. 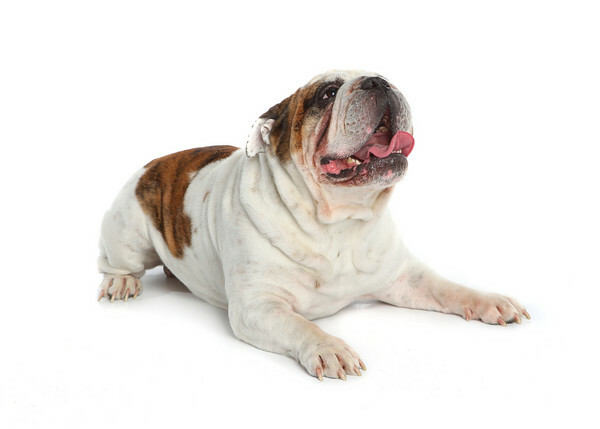 She would benefit from a confident, secure owner that can appreciate her many qualities while working to gain her trust. 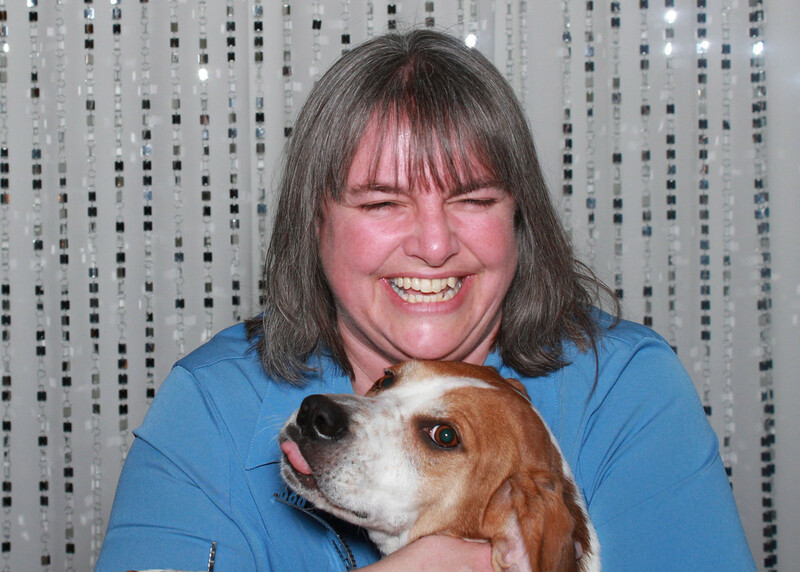 She will give her heart to the right person.” Carol is offering a free set of classes for anyone who adopts Cami. With love, patience, time, and of course good training, Cami will be a terrific companion and live a long, happy life. 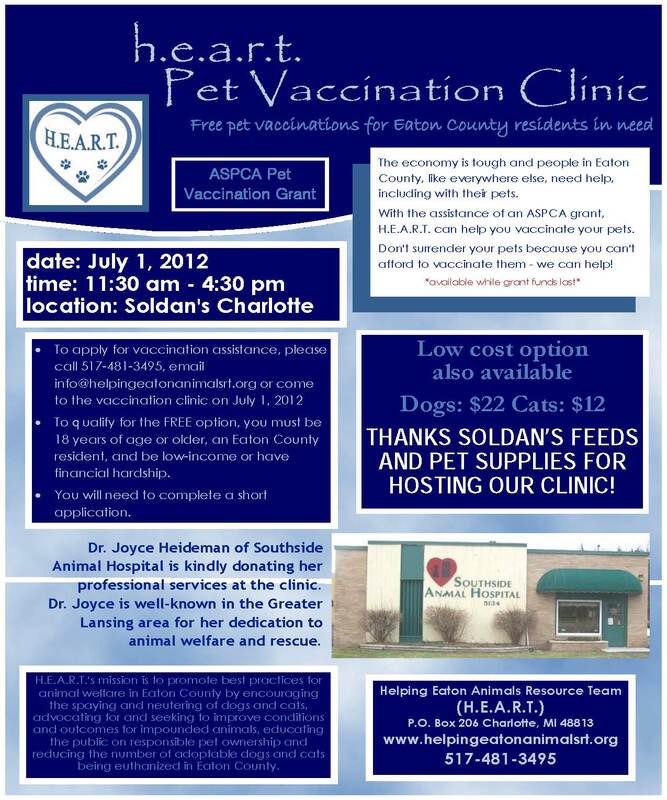 If you are interested in meeting Cami or would like more information, contact Adrienne at 517-420-0088.